Tonight at 8:00 as part of Marlene Dietrich's SOTM, 1958's TOUCH OF EVIL, in which she appears for maybe 5 minutes (?) and damn-near steals the picture. 6 a.m. The Best Years of Our Lives (1946). William Wyler hits another home run with this one. Looking forward to seeing it again and in the version Welles wanted before Universal recut the film. Dietrich makes the most of her 5 minute role! If I'm wrong and this film has been left out of tonight's lineup, thank you TCM. I don't think TCM should be setting its lineup around upsetting your oversensitive feelings. i want them to fear me, to whisper my name. I want them to know my wrath will follow them to the ends of the earth. Their every move, their every judgment is to be second-guessed with "but what will Lorna say?!" "what will Lorna do?" "OH FOR THE DAYS WHEN WE DID NOT LIVE TO PLEASE THAT OMNIPOTENT HARRIDAN, THAT RELENTLESS HORROR HAG! NEPENTHE! NEPENTHE!" ALL WILL WORSHIP AND FEAR ME: ALL WILL LOVE ME AND DESPAIR! now- is there any way you guys can get the rights to BEYOND THE FOREST? I know I WHISPER your name! 8 a.m. approx. 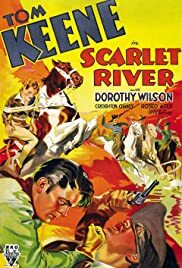 Scarlet River (1933). A Hollywood cavalcade type film. With “Crieghton” Chaney, Myrna Loy and Joel McCrea. Stunts by Yakima Canutt. 10 a.m. Popeye: Strong to the Finich (1933). "I've told you how important it is..."
ps- didn't TOM KEANE end up in PLAN NINE FROM OUTER SPACE? I'm delighted that Three Strangers will lead off the evening lineup for Saturday, because this film deserves to be better known. The superstitious Geraldine Fitzgerald wants two strangers to share her lottery ticket, and they just happen to be Sydney Greenstreet and Peter Lorre. What could possibly go wrong? All of Jean Negulesco's black & white films are worth seeing. Script by John Huston. I've never heard of this one and I love everyone you just described right down to Negulesco!!!!!!!! 10 a.m. The Letter (1940). An odd time for this Bette Davis classic unless you record it to view later. Herbert Marshall and James Stephenson are very good as well. Will it have the Eddie Muller introduction? Yes; it's part of the FILM NOIR series so I'm sure we'll get Eddie's intro and outro. I've seen it many times and I'm looking forward to Eddie's comments (as always). "A very dry blood-colored red with overtones of rubber, incense, and gunpowder." Synopsis: Plastic surgery gives a bitter, scarred woman a new chance at life. Dir: Gustaf Molander Cast: Tore Svennberg , Anders Henrikson , Ingrid Bergman . Also on is Harold Lloyd in For Heaven's Sake. Lloyd is one of my favorites. 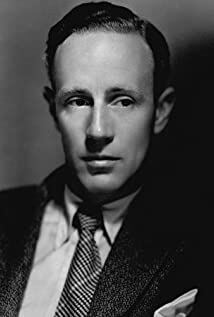 8 p.m. and again at 1:45 a.m. Leslie Howard: The Man Who Gave a Damn (2016). Fairly new documentary about Howard. I recorded it. I've never seen Bergman's version either. THey've shown it a few times when Bergman was SOTM. 3:45 a.m. Hallelujah (1929). By King Vidor. The first all black feature by a major studio according to the notes. 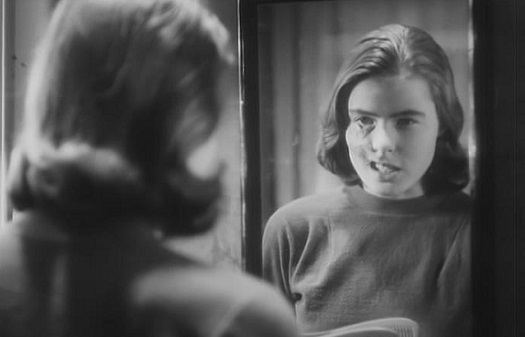 They definitely made Bergman look a lot more disfigured in the Swedish version than Joan did in the American version! Joan is scarred, but still somehow maintains some glamour. "I want to look scarred, but not too scarred." I thought Joan was pretty during her early MGM years (post skinny eyebrows) and the Warner Brother years. Once she started having the huge eyebrows and mouth and the blonde hair, she looked like a Joan Crawford caricature. I thought she actually looked pretty good in What Ever Happened to Baby Jane? only because her "Joan Crawford" costume was absent. Amusing Westerns. Wed. June 06. Callaway Went Thataway, Support Your Local Sheriff and The Good Guys and the Bad Guys. Nothing overly serious, just good entertainment. CWT is actually a "modern" Hollywood western.